Leaked english press release: Today, we have an important announcement from the development team of Tom Clancy's The Division for you. The past few years have been incredible for the team here at Massive ! When we started working on The Division , it was immediately clear to us that we had something very special here and something we really wanted to do right from the start. But we also knew that we would not be able to achieve this ambitious goal without your help. Since the release of The Division 2 years ago, we have remained true to this philosophy. We have repeatedly used opportunities to interact with you. Be it via livestreams, polls or just social media. Also, the introduction of the Public Test Server was a way to immediately get feedback from you before we implement new extensive features or make changes to the game. We've never stopped striving to make The Division even better, and our recent update 1.8 is testimony to how we can see your overwhelming feedback and support. All these new opportunities and experiences have also improved the team's internal processes. We have become quicker and can thus respond better to your feedback. But our vision of what matters to us and what makes The Division so memorable for so many people has never been clearer. However, when we released our game in 2016, it was clear to us that it was just the opening chapter of a much bigger saga, so we're excited to share more with you today about what awaits you in The Division Universe next. 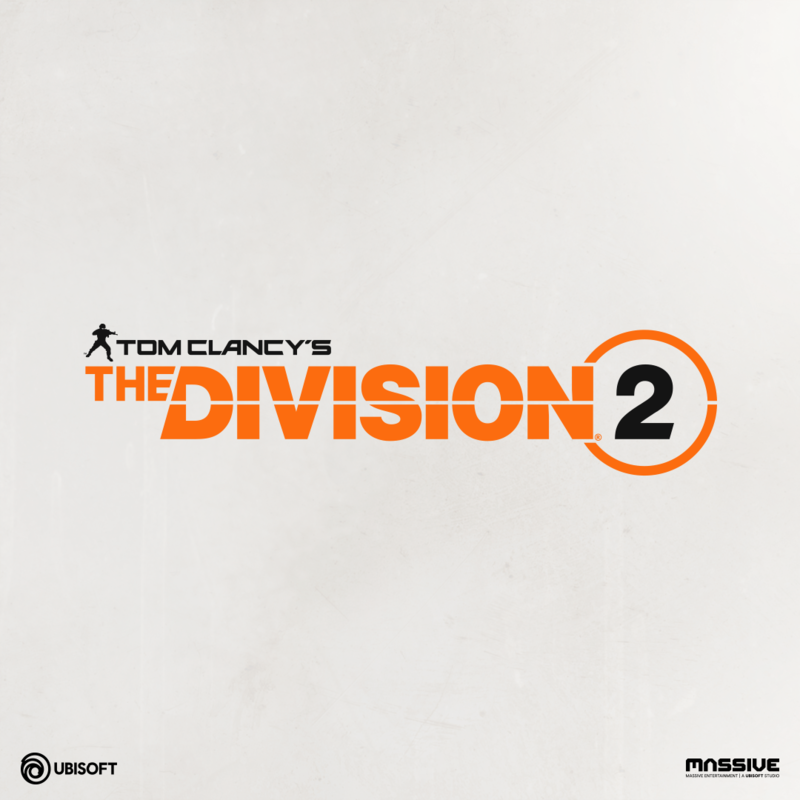 We are very pleased to announce that we are currently working on Tom Clancy's The Division 2 . The development is led by Massive Entertainment and driven by close collaboration with Ubisoft Annecy, Redstorm, Reflections, Ubisoft Bucharest and Ubisoft Shanghai. 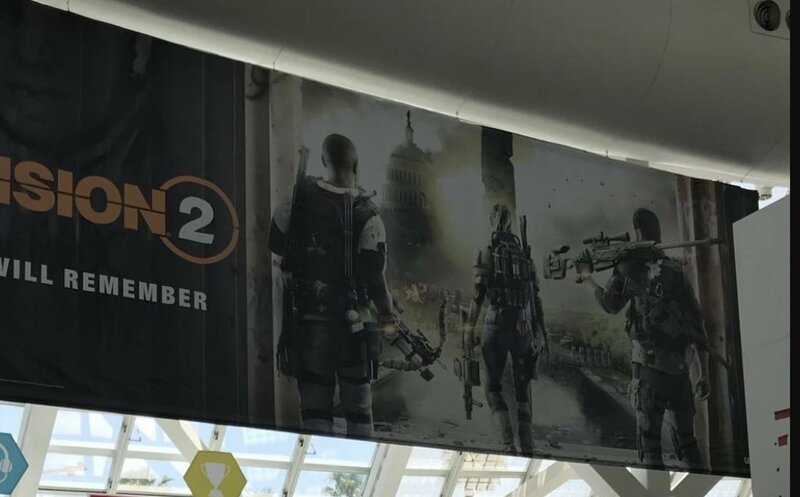 The Division 2 will be based on an updated version of the Snowdrop Enginethat will help us realize our ambitions for this title. More importantly, we can also invest all the experience we've accumulated over the past two years in this sequel to make sure everything is going well. But that is not all. The division continues. After the celebrations of our 2 year anniversary, we will support the game with 2 more title updates. These will be 2 brand new Global Events; Include more Legendary difficulty missions and an Xbox One X update that will rediscover the beautiful and emblematic New York City with all its stunning details in both 4K and 1080p. In addition, as of June 2018, players will also be able to play 'Crests', which are specific achievements that will allow them to unlock The Division 2 rewards. The teams are extremely grateful for all the support over the past two years and we can not wait to show you what we have planned for The Division 2 during the E3 2018 in June. orangpelupa, iroboto and Malo like this. oh wow, this should be great. I was going to get back into The Division as soon as I got a new GPU, which never happened. RancidLunchmeat, ToTTenTranz and Jupiter like this. That was both funny and sad. Lightman, Silent_Buddha and Malo like this. One could not have guessed that the GPU prices would rise like this. The GTX 1070 tripled in price. In my opinion, The Division is by far the game with the highest production value so far. It seems they're no less ambitious in Division 2. Three characters (instead of four) and one has a crossbow and the other a grenade launcher. Lightman and Malo like this. If you want to play the closed beta. Why are there today so many new videos from games that will be released soon? Anthem, Days Gone, Mortal Kombat XI and now The Division 2? For weeks there was almost nothing going on and now all of a sudden several titles in one day with new material. Will pass buying The Division 2 due to being burnt so much with The Division. Also no local servers even though Ubisoft had promised that they would drop local servers in South Africa(almost three years ago) after many petitions were signed(done) by players. No local servers for any of the Ubisoft game, even Rainbow 6 Siege. F*you Ubisoft. anyone in the beta will be able to invite others into the beta. if any of you got in into the beta, I BEG YOU! INVITE MEEEEEEEEEEEEEEEEEEeeeeeeeeeeeeeeeeeeeeeeeeeeeeeeee. For giving you BETA access I need to have you on my friend list on Uplay. It's possible to share the beta with three friends on Uplay. I still have three invitations left. Does anybody have any spare invites left? The Division was really my favorite game at the time. I sank 185h into it, which quite a lot for me. I'm not a big fan of multiplayer games but I really liked the mix of PvE and PvP. I used to roam the dark zone alone for hours, randomly helping people or get shot by rouge agents. I had pretty good gear, too, util they started changing the endgame so much. That made playing solo much more difficult. The only downside for me was that managing your gear was getting pretty tedious in the end. As a solo player in the dark zone your gear had to be pretty perfect unless you wanted to end up as canon fodder for other players. Anyway, if anyone got an invite left, I would appreciate a pm. Thanks! Yes, but I need you on my Uplay friendlist to give you access (sharing works over the friendlist). Thank you! I've PMed you my username. I disabled almost everything in the HUD. I can even move and enlarge the HUD elements as I like. Put everything somewhere in a corner and make it small. Amost all of these ingame messages can be deactivated. But these players who are calling for help must unfortunately be deactivated each start somewhere in the map. As far as the atmosphere is concerned it is best in the Dark Zone. By the way, The Division 2s Dark Zone PvP is more interesting for me since it has normalized equipment. Therefore all players are basically equal. The side missions are almost like the main missions. Only a little shorter but made similar with a special environment etc.. In the previous game the side missions were much worse than the main missions. I like it very much and there is still a lot to learn. It's very different from the first game. Some screenshots I just took (not highest settings). Graphics are very good and the changing time of day and weather make it more exciting. Over the weekend I have sunk about 12h into the private beta. What really amazes me The Division (1 & 2) is this amazing level of detail they put into their world. I can freeroam for hours and always discover something new. There are so many hidden places, back yards, abandoned buildings, basements, parking garages, etc and they all look credible and sometimes they tell little stories if you care to look. Gameplay-wise TD2 seems to be more evolution than revolution. Core gameplay stays more or less the same. I think there are a bit more MMO elements. Can't really say if this is a good or bad thing, probably depends on the eye of the beholder. I had hoped for a some new core gameplay mechanics, like a little stealth, but maybe we have to wait for TD3 for that. All in all it's a very pretty, very entertaining game. I liked it enough to preorder it, because Uplay store (currently?) has a 20% discount for 100 U coins. For anyone who hasn't played The Division (1) yet, it's currently 90% off on Uplay and Steam. For that money it's really great value, even if you spend just a few hours and it still looks great.